Round Island, Longships Watch, Sennen Cove, West Cornwall. 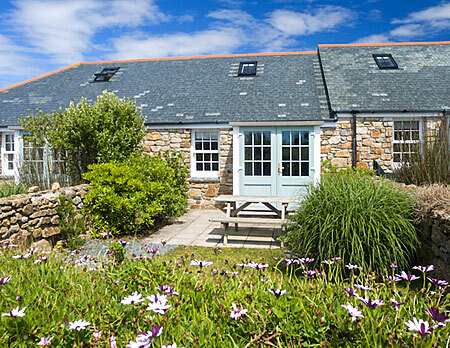 Round Island is a charming two bedroom self catering holiday cottage, situated at Longships Watch, Sennen Cove, Cornwall, offering spacious accommodation for 4 guests. Inside, the lounge and kitchen are open plan offering a light and airy space. The double bedroom is downstairs and has an en-suite bathroom, the second bathroom is also downstairs. There is a twin bedroom upstairs with views over the gardens towards Land End. Outside the cottage there is a private patio with picnic table and access to the picturesque landscaped garden.